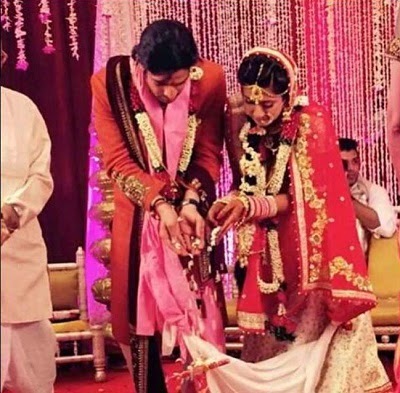 Karan Patel and Ankita Bhargava tied the knot in a grand ceremony on 3rd May 2015. It was a Gujarati wedding with who's who of Telly land making it to the do. Karan informed, "Yes, Ankita and I are getting married and this is a new chapter in my life. I am looking forward to it without a doubt, can't wait, she is a beautiful girl, a friend more than that my would be wife." Karan has been working round-the-clock to get a few days off and will have to resume work soon as he has a couple of commitments at hand. Sources said, "The couple will be leaving immediately after the wedding, so Karan's character Raman will go missing from some episodes of 'Yeh Hai Mohabbatein', meanwhile he is also missing one episode of Nach Baliye so he is shooting for some links in advance, before he leaves. The actor has had a hectic schedule and has been looking forward to this break."